After our bike ride this morning I was craving one of my old favorites – a big egg, sausage and cheese biscuit smothered in mustard. 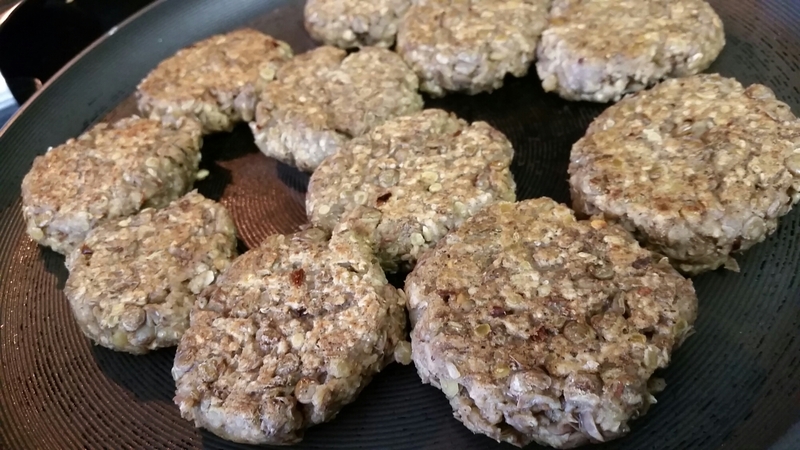 So I went home and conjured up some really yummy and really easy to make lentil sausage. 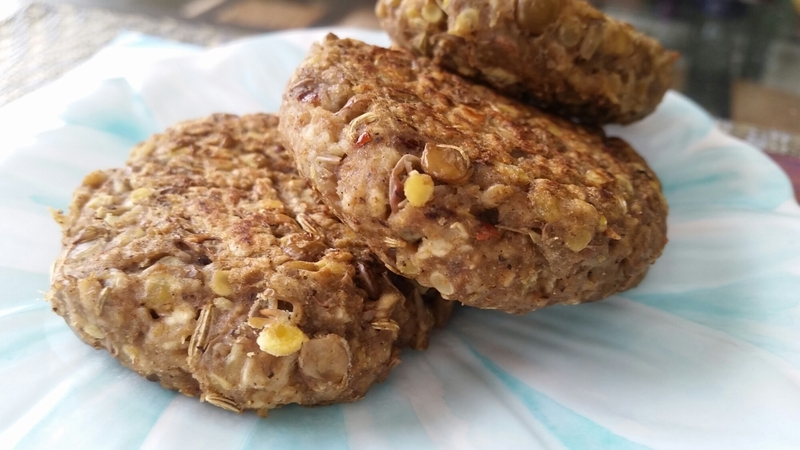 The ingredients are simple and the result is a yummy breakfast staple. I used green lentils, so I had a lighter colored sausage, but use black lentils for a darker, really sausage-esque look. I also added lots of crushed red pepper because I like things spicy. Also, I like fennel so I added extra too. Use olive oil on the skillet if you want them a tad more moist (ie, greasy). 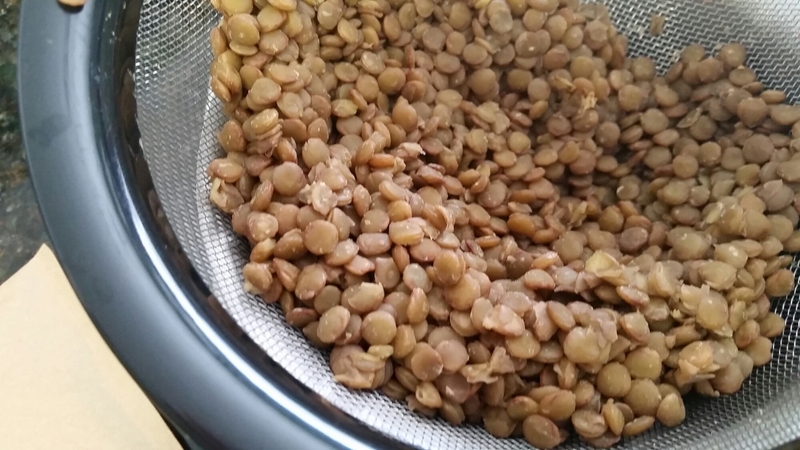 Cook lentils as per package directions. I just boiled mine until soft. Drain and let cool about 10 minutes. Add all ingredients to a large mixing bowl and combine well. I highly suggest using a fork so the lentils, which should be still warm and easy to smush, become basically lentil mash. You’ll have a few stray whole ones and that’s ok.
Heat a generous amount of olive oil in a nonstick skillet, or just heat it with nonstick spray to save on calories. Your lentil mix should be a very thick almost dough-like consistency. Shape it into balls that will fit in the palm of your hand. Gently place the balls on the hot pan and press with the spatula to flatten. Cook until crisp and browned. Makes about 10 patties. Serve on biscuits, covered in maple syrup alongside your waffles or on biscuits, drowning in mustard.